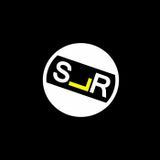 SLRUK is a Drum and bass / Dubstep record label working from its base in the growing underground of Liverpool&apos;s bass music music scene. SLRUK was established in 2012 by MC SAS from Viper Recordings . SAS been working hard in the Northwest of the Uk and Europe for over 13yrs and gained kmag&apos;s mc of the month back in 2007 and has since had recognition from by BBC introducesin 2011. SLRUK&apos;S mission is to bring you some of what we think to among the best and exciting producers in world right now. We will not be tied down to one style of dnb or dubstep but we will always bring huge tracks by some of the best producers out there.